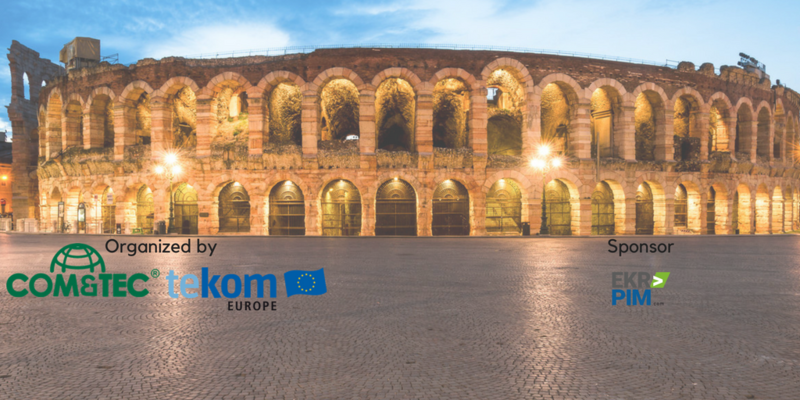 On March 2, 2018 Italy will host for the first time the European COM&TEC event in cooperation with tekom Europe. An important opportunity to attend a significant meeting and take stock of the situation at the European level. The city selected for the venue is the wonderful and romantic Verona. At the Hotel Leopardi speakers and attendees will meet and talk about Technical Communication and Intelligent Information. "Needs in TC all over Europe - fit for the new trends"
professionals in TC, manufacturing companies, service companies, translation and localization agencies, education bodies, others. FOR COM&TEC MEMBERS AND THOSE WHO WILL JOIN COM&TEC ON THE OCCASION OF THIS EVENT PARTICIPATION IS FREE. The following day, on March 3, the boards’ members of the different National Associations as well as the representatives from the Country Organizations belonging to tekom Europe, will sit on the same table to plan new initiatives and projects and fix the new trends in the field of TC.